Good Energy Group's mission is to keep the world a habitable place by offering consumers an active role in addressing climate change. 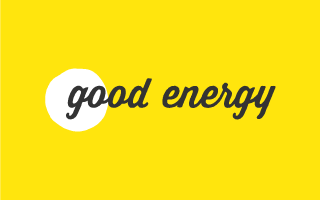 Good Energy's goal is to be a catalyst for change in the UK energy market. They do this by empowering individuals and businesses to switch their energy supply to renewable electricity, generate their own renewable power, participate in local community energy initiatives and use their energy more efficiently. Good Energy believes that decentralised generation, where power is generated at home and in communities, is as important fo the UK's future energy security as for cutting carbon emissions. As well as encouraging small scale decentralised generation, Good Energy also invests in new sources of renewable generation for Britain, through onshore wind and renewable heat projects. Good Energy believe we need to develop a new, closer relationship with the energy we use which will encourage us to value our energy more and use it less. The vision of the future looks very different to what we see today: energy companies will be transformed from leviathans to enablers, and, maybe by 2050 they will all look like Good Energy. You can invest in Good Energy Group Plc by talking to your broker. If you have an online Stockbroker please select below.